Sometimes we forget that good healthcare requires not only a diagnosis and a treatment plan but also patient compliance (a willingness to come along on the journey to wellness). But patient compliance often faces obstacles in the form of the fear and anxiety that beset patients and their loved ones, or when a provider faces an unusual condition. In these situations, patients want a provider (or in some cases providers making up our care team) who is not only knowledgeable, credible and trusted; they want one who can answer a range of questions and with whom they can build a personal relationship. Sadly, this is rarely the case these days. As treatment options have increased so has medical sub-specialization. Many of today’s highly skilled physicians have sacrificed breadth for a depth of knowledge. Physician reimbursement pressures have exacerbated the problem, resulting in 12-minute visits with little time for patient questions and no time to build a trusting relationship. The result: a fragmented healthcare experience for the patient. As providers we have to ask ourselves, what’s missing? The specialist may be the right person in the right role, but at a given time they may not be the ideal primary care provider. The reason for this lies in the current structure of care in the United States, a structure I see as the healthcare pyramid. Imagine our healthcare system as a pyramid. At the top you’ll find a shrinking number of expensive specialists focused on fixing an immediate need, NOT building a relationship with each patient. The bottom is comprised of a growing population of patients that demands access to care from the right doctor, at the right time, and from someone who cares. In the middle we are missing someone to build and maintain a trusted relationship with patients. So, how are we going to fix that? The solution is found in the marriage of people and technology. On the technology end, we have the emerging platform of Telehealth. Also called telemedicine, it has many applications and is a tool that can be utilized by a range of healthcare professionals. On the human side we have healthcare providers. Now, to fill that gap in the pyramid, let’s look at how telehealth makes possible and supports a new kind of healthcare provider called the healthcare navigator. Healthcare navigators are team members who have the time and patience to establish and maintain a trusting relationship with patients. These providers do not have the training of a specialist and are therefore less expensive. However, supported by experts in near real time via telemedicine tools, they would be both credible and critical in accessing the right expertise at the right time, navigating the healthcare waters for the patient. 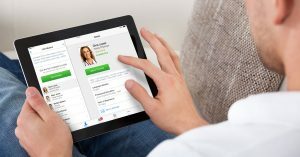 Initially, healthcare navigators would build trust through one or two in-person visits with the patient. After that, they could turn to cost-effective tools—text, phone and video—to maintain the relationship. This arrangement eliminates repeated office visits that are too costly, both in terms of time and travel for the patient, and it is equally efficient for the navigator. It’s also flexible, allowing for in-person intervention when necessary. Let’s illustrate what a healthcare navigator experience would look like with the following scenario: Patient John Doe is 80 years old and has been discharged from the hospital after heart surgery. A few days later, his wife is concerned with John’s appearance and believes something is wrong. Without a Care Navigator: John’s wife calls the specialist asking for a call back. If no one is immediately available the front desk is trained to recommend that John be taken to the ER. Patients hate re-entering the ER queue, and hospitals can’t afford it. Re-admissions drive up costs, providers can be penalized, and hospitals can lose Medicare supplements. With a Care Navigator: John’s wife calls her care navigator to report the concerns. The care navigator meets John and his wife virtually or at an outpatient facility to review John’s records and gather diagnostic data. The care navigator then directly contacts the specialist for expert advice, receives the specialist’s instructions, and writes John a prescription for a different medication to avoid negative side effects. Here we see how the new role of the care navigator restores some of the human element so often lacking in healthcare today. But clearly what makes such a position possible is telehealth. Telehealth is the mortar that fuses each layer of the healthcare pyramid together. Without the proper tools, providers are plagued with archaic methods for managing encounters, patient engagement, and care team collaboration. 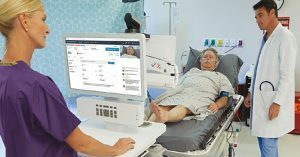 As telehealth platforms emerge, we’re seeing tools that were previously siloed become integrated into enterprise systems with healthcare’s role-based hierarchy built-in. 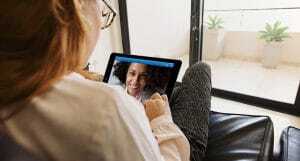 Through telehealth we can connect the right provider to the right patient at the right time. And in doing so, we will reverse the fragmentation of the patient’s healthcare experience.